On the brink : New Zealand’s most endangered species by Maria Gill @mariagillnz : A sad reminder of what we could loose if we don’t do something now. 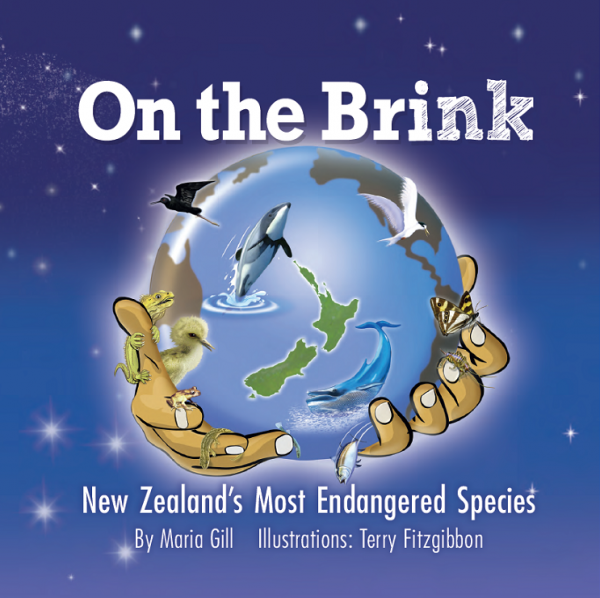 On the brink is a well-researched non fiction children’s book about the dangers of extinction for many different New Zealand species. It includes among others, reptiles, frogs, fish, insects, birds and marine animals. It is well-formatted, realistically illustrated and informative without being too wordy. The book details the top five most endangered in each category. It is incredibly sad to realise just how many species are actually threatened with extinction. Perhaps the saddest is the Maui dolphin with less than 55 left in the world. Certainly makes you stop and think. It is also very sad to see how few Hamilton’s frogs there are left. I love frogs and actually have my own pet ones who are about 12 years old. They are little brown whistling tree frogs and they make me smile so much. I would hate to see the loss of Hamilton’s frogs. As a buyer of children’s books for a school library, I do like non-fiction books which include a good glossary, index and contents page and this book provides all that and more. There are many useful websites to check out for further research. There is also a double page spread with ideas of what readers can do to try and help make a difference. 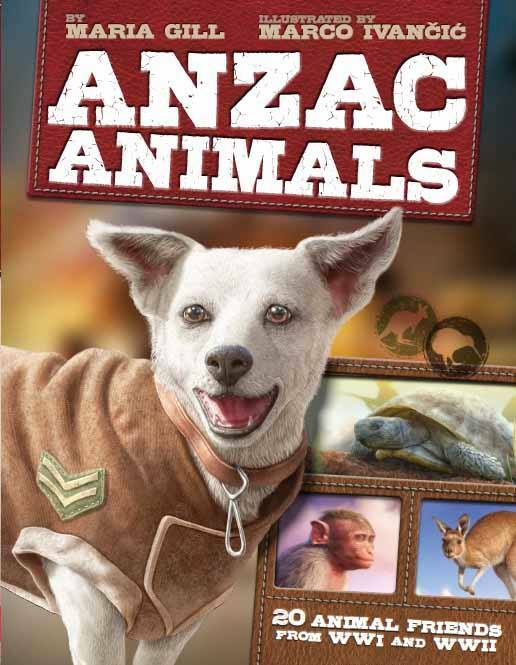 This is an excellent book trailer to use in class with the book. Definitely a must-have for school libraries. A sad reminder of what we could all lose if we do nothing. We all need to do our own little bit to help. 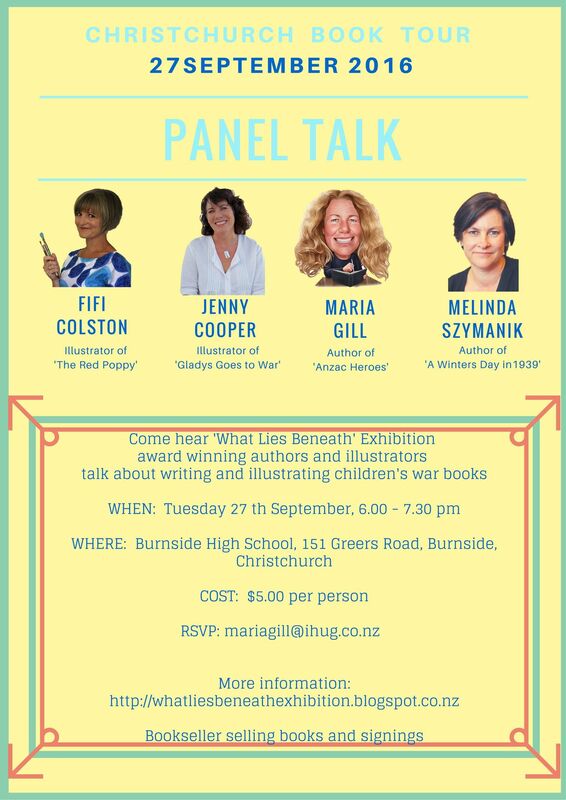 If you are in or near Christchurch on 27th September do come and listen to these award winning authors and illustrators talk about their children’s war books. 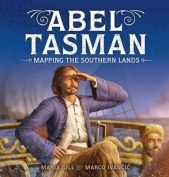 Wonderfully told and researched, beautifully illustrated this is a night not to miss. 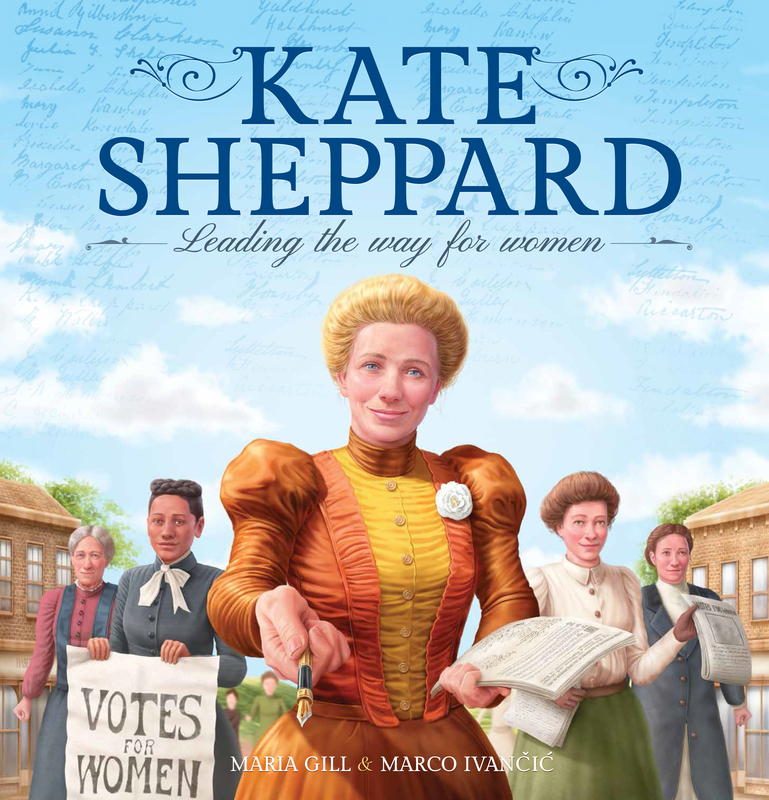 Picture books to help children understand our history and our heroes. 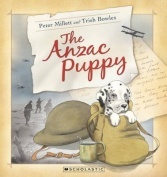 ANZAC books to share with young readers. ANZAC Day is such a special event in both New Zealand and Australian history that 100 years later we are still respecting our ancestors and all they did to serve our countries. 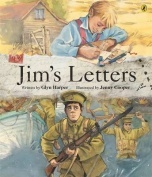 Here is a selection of some of my favourite World War One picture books to share with children. While not all focus on the Gallipoli Campaign, they do talk of the impact of war and are all very worthy to share with children when they ask why do we still have ANZAC parades. Simply put, it is to remember them. All of them. Those who went to war, those who fought and never made it home and yes, even those who stayed at home and helped kept families strong. Gladys Sandford was a very special and determined woman. Told that war was no place for women, Gladys fought convention and went to war, driving ambulances and even fixing them. Gladys was also the first woman in New Zealand to gain a pilot’s license. Based on the real life Gladys this is a very special book. Often illustrators are great at either drawing animals or people. It is not every illustrator who can do both well but Jenny Cooper does this and does it beautifully. This is a great story for younger readers especially for its happy ending, despite the harsh realities of war and the pain of being involved in such awful times. A poignantly illustrated picture book with lots to say. There is more focus on the trenches in David Hill’s story than some of the others chosen here today and this certainly adds impact. I love the colours used for this book. 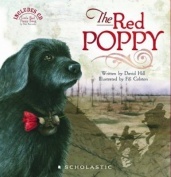 The sepia tones and the blood red of the poppies are ideal for this story and perfect for older children. There is much to read and look at in this book and would be ideal in a classroom of year 5 and six students. There is also the wonderful addition of a CD to listen to. The power of this book is highlighting the lives of those at war and family at home. It was hard for family waiting at home knowing any day they might receive the dreadful news that their beloved son, brother or father was either wounded or killed. Nothing was certain and I think this book depicts this very well. There are so many more books I could share. Below are two of my favourites already reviewed on this blog.